The Rebel Sweetheart. : For the Kdrama Addict | Places to Visit in Korea. Now that more and more Korean dramas (Kdramas) have achieved international success, Korean film tours are gaining popularity as well. 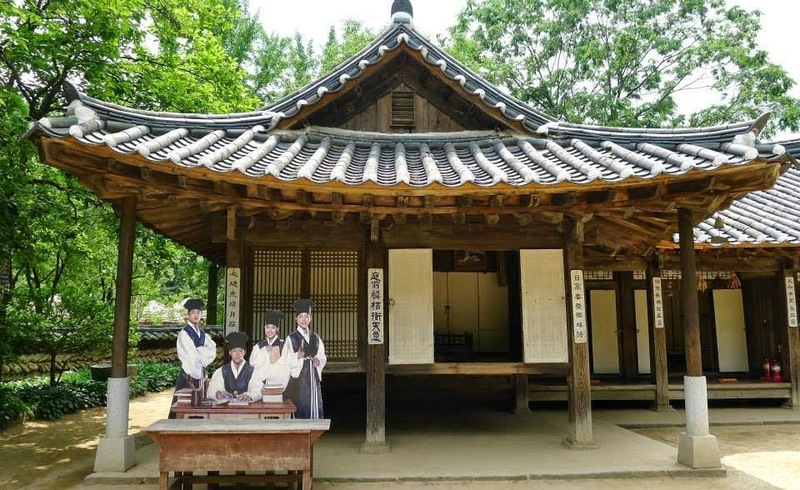 Through these film tours, fans get to see the filming locations of their favorite TV shows, and allow them to relive the scenes in their favorite Kdramas. If you're visiting Korea and planning to go on a film tour, here are some places that you might want to add to your itinerary. Aired in 2007, The First Shop of Coffee Prince is perhaps one of the most popular Kdramas as far as gender bender plots are concerned. 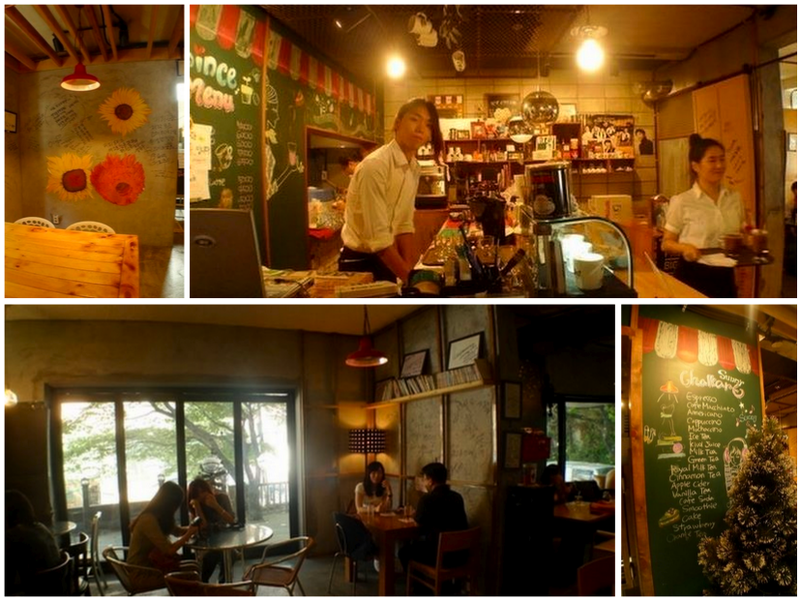 The set of The First Shop of Coffee Prince was an actual cafe in Hongdae that had been remodeled as a set for the drama. Both the exterior and interior of the cafe have been completely overhauled to recreate the scenes in the drama, and was reopened as soon as the drama ended. The First Shop of Coffee Prince. 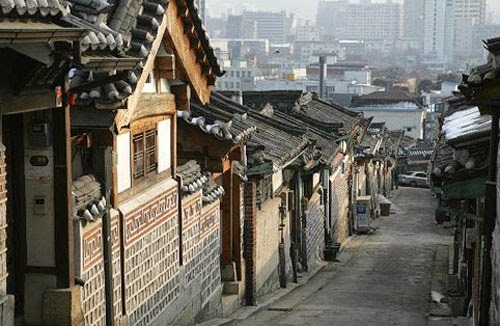 The Bukchon Hanok Village in Seoul is the city's last neighborhood with a high concentration of traditional homes, called hanok. I read an article that traditional houses often need a lot of upkeep. Hanoks are no exception being dedicated to preserving traditional Korean architecture. Made of clay, wood, and stone, hanoks are typically single-story structures that have heated floors and curved tile roofs. Popular dramas that have been filmed in Bukchon include Winter Sonata (2002), My Name is Kim Sam Soon (2005), Personal Taste (2010), and Heartstrings (2011). I first saw this place in the variety show 'Running Man', but it was actually the hit drama 'My Love from the Star' that made this French cultural village even more popular. Located in the province of Gyeonggi-do - about one hour away from Seoul - the village consists of 16 French-style buildings where visitors can lodge, enjoy French food, and experience French culture. Also featured in the village is a memorial hall dedicated to Antoine Saint-Exupery, author of the world-famous French novel Le Petit Prince. The most northern beach in South Korea, Hwajinpo Beach was the site of the last scene in Autumn in My Heart (2000), where the two lovers portrayed by Song Hye Kyo and Song Seung Heon spent their last moments together. This heartbreaking and unforgettable scene invites a trail of visitors with its clean, shallow water, and a majestic view of the mountains and the East Sea. The mecca of historical drama (think Dae Jang Geum, Jumong, Sungkyunkwan Scandal) and the epicenter of Korean wave, the Korean Folk Village has over 260 traditional houses reminiscent of the late Joseon dynasty. Visitors get to experience the customs and lifestyle of Korea's past generations, and gain a broad understanding of Korean food, clothing, and home life from the past. I've never been to Korea but it looks beautiful. If we ever go I'll keep these places in mind! I thought I haven't watched a lot of K-Dramas yet, but it was surprising that I was familiar with all these places! Haha! My K-Drama knowledge is not as low pala as I thought! XD Anyway, will definitely visit these sites, especially the Korean Folk Village, when I go to South Korea in the *hopefully* near future. Those are amazing pictures.. makes me want to take a trip! I haven't traveled abroad to Korea before and hope to one day. All of the photos you share on your blog, paint a beautiful picture. These all look like great places to film movies at. My favorite is Petit France and Koren Folk Village. I haven't been to Korea but these places are definitely part of my must-see list! In a show I previously watched in one travel show, they featured the same list and so I'm pretty excited to see why everyone's raving about these places. These places are so beautiful and show a lot of culture. I would love to visit Korea one day. Thanks for showing the beauty. You know, one of the things in my bucket list is to visit an old Korean village. I love the stone structurs and wanna experience the heated floors of a traditional Korean house. Hubby is luckier than me, he's been to Korea twice for a business trip. I just mentioned in my latest entry that Japan would be in my bucket list of countries to go to before I turn 30 and you know what, Korea is too! I love their cute coffee shops! :) Hoping someday I can go! Thanks for these must see places! Waaaah!!! MLKSS, MLFAS, SK Scandal and Running Man!!! My fangirl heart can't take this!! I really like your blog. Please follow me back. I am also a KPOP/Beauty/Fashion blog. And I'm also Filipina! ^_^ I rarely find KPOP blogs so when I do I really get into them. Keke!